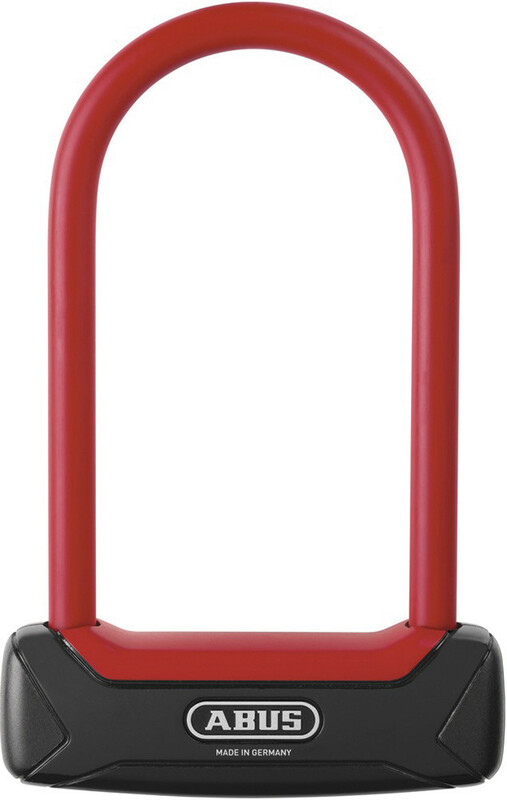 ABUS: The successor to the popular and featherweight Futura 64 lock, the Granit Plus 640 has a fresh new design, a soft touch cover, and it is available in either red or black. The mini version fits easily into your back pocket while the longer 230mm version includes a TexKF frame bracket for convenient transport. The Granit Plus 640 features a weight optimized 12mm thick round shackle that is double bolted into the hardened steel lock body, with an automatic keyhole cover to protect the internals from dirt and water. The lock is supplied with 2 keys, one with integrated LED. The Plus cylinder is extremely resistant to drilling or picking and also supplied with a key code card for replacement or additional keys. The Granit Plus 640 is insurance approved to Sold Secure Silver level and available in standard 230mm or mini 150mm versions.